Sound can easily bring you into a state of relaxation akin to meditation or even sleep, where healing can occur. Come learn the therapeutic application of sound and how it can be used as a tool for meditation with sound therapist and meditation teacher Sara Auster. Sound offers balance, relaxation, and a sense of wholeness for the body and mind. The experience of a sound bath can be helpful for anyone who wants to connect to a moment of relaxation or access the benefits of meditation. 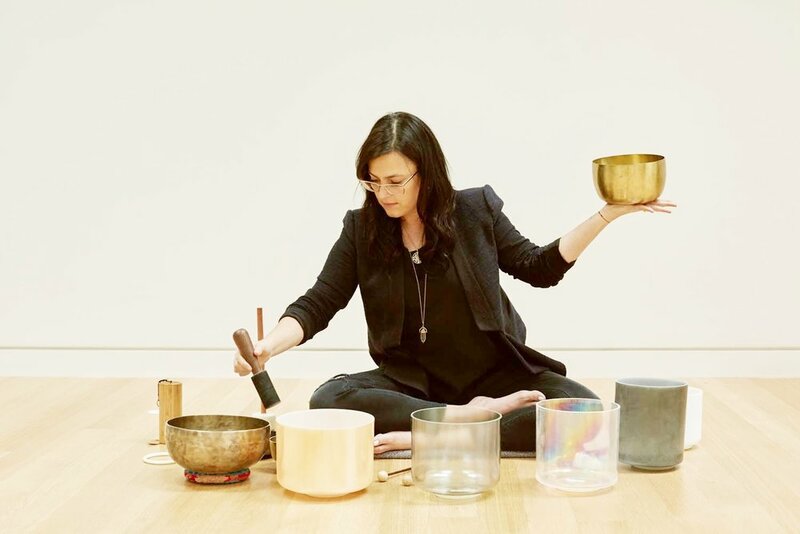 Sara uses Himalayan and crystal singing bowls, tuning forks, voice, and gong to provide a safe and relaxing environment, inviting balance and harmony in the mind and body.